San Antonio agreed to ship Kawhi Leonard and Danny Green to the Toronto Raptors for DeMar DeRozan, Jakob Poeltl and a protected 2019 first-round pick, according to multiple reports, ending more than seven months of off-court drama for the Spurs. Leonard requested a trade after a meeting with Spurs coach Gregg Popovich. His absence from the team became a point of consternation for Popovich and the Spurs, who didn't have the All-Star forward on the floor for the final five months of the season because of a quadriceps injury. 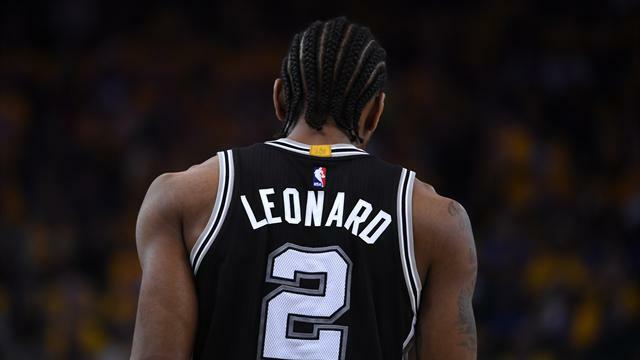 The Los Angeles Lakers, Boston Celtics, Cleveland Cavaliers, Philadelphia 76ers and others checked on Leonard's availability before Wednesday's trade in which the Spurs were able to acquire another All-Star in DeRozan. The Raptors are rolling the dice Leonard is healthy and willing to re-sign to stay in Toronto beyond this season. Leonard is scheduled to be an unrestricted free agent in July 2019. By playing this season with Toronto, the Raptors would have the advantage of being able to pay $49 million more in a max deal than other suitors, such as the Lakers. DeRozan's immediate reaction -- after reportedly being informed during a meeting with team brass at Vegas Summer League he would not be traded -- was not positive. On his Instagram page Wednesday morning, DeRozan wrote, "Be told one thing & the outcome another. Can't trust em. Ain't no loyalty in this game. Sell you out quick for a little bit of nothing... Soon you'll understand... Don't disturb..."
According to multiple reports, the first-rounder is protected if the Raptors pick anywhere from first to 20th next year. In 2020, the pick would become two second-round picks instead of a first-rounder.